Farmyard Cannibals from Cardiff have made it through to the semi-final of a competition to find new jazz talent run by Future Inns. They'll battle it out against three other bands – The Swiss from Devon and Bristol's Lund Quartet and All-In-One Helmet – at the semi-final on Saturday May 8 held at Future Inns' hotel in Cabot Circus, Bristol. The two bands judged the best will go through to the final. Farmyard Cannibals are 19-year-olds Huw Williams on bass, Ben Treacher on sax and Lloyd Haines on drums, with 20-year-old Joe Webb on piano. 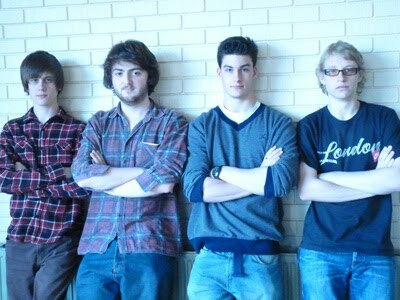 They are all students at Royal Welsh College of Music and Drama studying jazz. Huw said: "We're so chuffed to get through to the semi-final of the competition, giving us the chance to play in England for the first time and reach a different audience. And of course, we'd love to win! "We all had massive colds and flu when we recorded the demo so we didn’t expect to get through, making us extra happy now we have. "Our band formed last April and we’re heavily influenced by South American music. Our sound is quite energetic, quite modern, high-energy contemporary jazz. "Jazz offers amazing freedom of expression - you can improvise, you can do anything. After college, we all hope to make a living out of playing jazz, so this competition is a brilliant chance for us. "Cardiff definitely has a vibrant jazz scene that's growing in popularity. With two jazz clubs in our city and performers coming over from London, Cardiff is a great place to hear live jazz." Jazz Heritage Wales - a registered charity formerly known as Women in Jazz Swansea - will be officially launched at its new home on Swansea Metropolitan University’s Townhill campus next Wednesday 5 May. A recipient of the Diversity Wales Award in 2003, the organisation delivers programmes to schools under their remit of PARE (Performance Archive Research Education) and has taken the roots of jazz music back to the 1830s when Wales had active anti-slavery and abolitionist movements. The Jazz Heritage Wales archive includes a collection unique to Wales, holding thousands of photographs, recordings, journals and periodicals, as well as paintings and stage gowns donated by some of the world’s greatest female jazz artists. The launch event will include live music from the Women in Jazz Allstars Swing Band and the Paula Gardiner Trio. 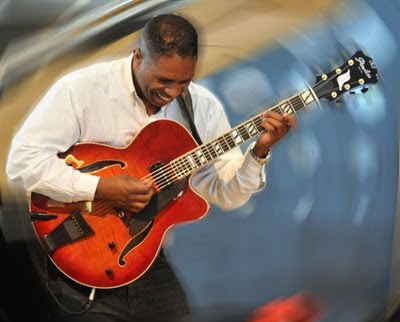 Guitarist Ciyo Brown, Li Harding, The Amigos and Coltrane Dedication are among the attractions of an expanded Butetown Bay Jazz festival in Cardiff this Saturday 1 to Monday 3 May 2010. The free festival follows the success of last year's one-day event and aims to celebrate the musical heritage of Tiger Bay. A stage at Mermaid Quay on the city's waterfront will be the focus of activities on Saturday and Monday, with Sunday's live music taking place in the foyer of the nearby Wales Millennium Centre. There'll also be performances by young musicians and dancers from the bay, and workshops in guitar, creative writing and marketing for musicians. Radio Cardiff DJs including Donna Zammit, Paddi, Steven Johnson, Rachel Price and myself will keep things moving between the live acts. The event will also be broadcast live on Radio Cardiff from 11am till 6pm each day, although the live music continues into the evening. John Law Trio – Can a Cannibal Nibble?